If you’re an experienced social worker interested in joining a first-class team delivering a new and ground-breaking service, we’d like to hear from you. For more information just email us at workforus@oxfordshire.gov.uk. Oxfordshire is already one of just 16 councils rated ‘good’ by Ofsted and a leader in tackling big national issues such as child sexual exploitation and neglect. Now we’re going one ground-breaking step further – and we’re looking for additional social workers to come with us. At Oxfordshire we’ve fully integrated social care with early intervention, creating a seamless service that gets families the right help at the right time. That means meeting the needs and aspirations of children at risk of abuse and neglect, and ensuring families in need of extra help are identified at the earliest possible stage. As part of this innovative approach we’ve set up new locality support teams who work with professionals in education, early years and health settings to increase their expertise and confidence in providing early help for children. They also work with voluntary and community services. The service as a whole is based on a Restorative Practice approach where we work with families and each other through respectful challenge and support. It’s a service where we are honest about what needs to change and why, and strive to find the best solutions. 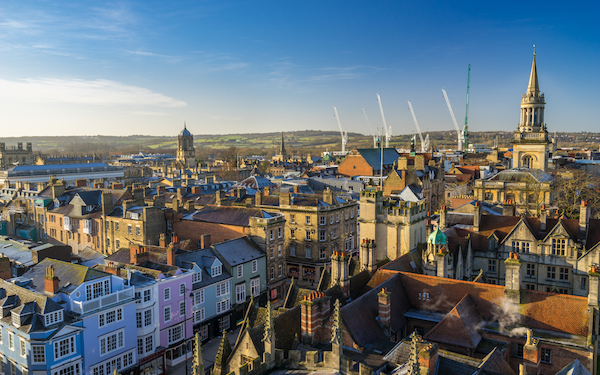 – Oxfordshire is a beautiful county, rich in history and culture with a cosmopolitan city, traditional market towns and picturesque open landscapes. – Despite its rural location, Oxfordshire’s diverse communities generate the same variety of cases a social worker might expect from anywhere else in the country. – It’s well connected by major roads and public transport. Both London and Birmingham are just an hour away by train. – Housing costs stack up well against our neighbours Buckinghamshire, Berkshire and Surrey. Jenny, who works in the family support team, says: “The working ethos here is outstanding – we have regular listening events and working groups to voice our concerns and ideas – I really feel listened to. All Oxfordshire social workers can expect a supportive and stable working environment dedicated to improving outcomes for children. And while it’s often said that you can’t put a price on experience, you can reward it. We offer competitive pay and a golden hello of £3,500 to experienced social workers joining our Assessment and Family Support Team. We can also help with relocation expenses. We are also launching on online social worker academy to further strengthen the professional development we give all our social workers, not just those in their Assessed and Supported Year in Employment. It all adds up to a workplace where you can flourish, where the child and family are at the heart of decisions, and you are supported to do the job you love. So if you’re an experienced social worker interested in joining a first-class team delivering a new and ground-breaking service, we’d like to hear from you. For more information you can talk to one of our friendly staff members and even arrange a visit to one of our teams to see what social work in Oxfordshire for yourself. Just email us at workforus@oxfordshire.gov.uk.